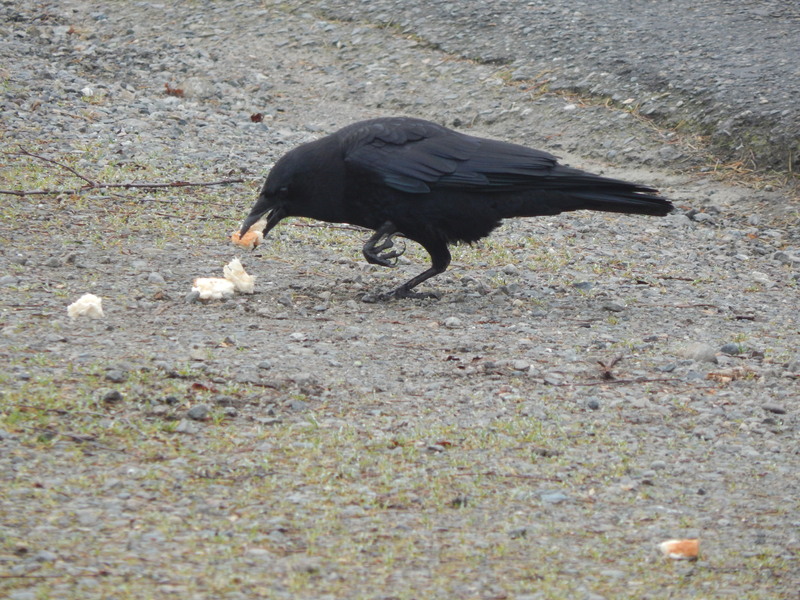 At least for me crow recognition is near impossible except when they are banded or have disabilities. 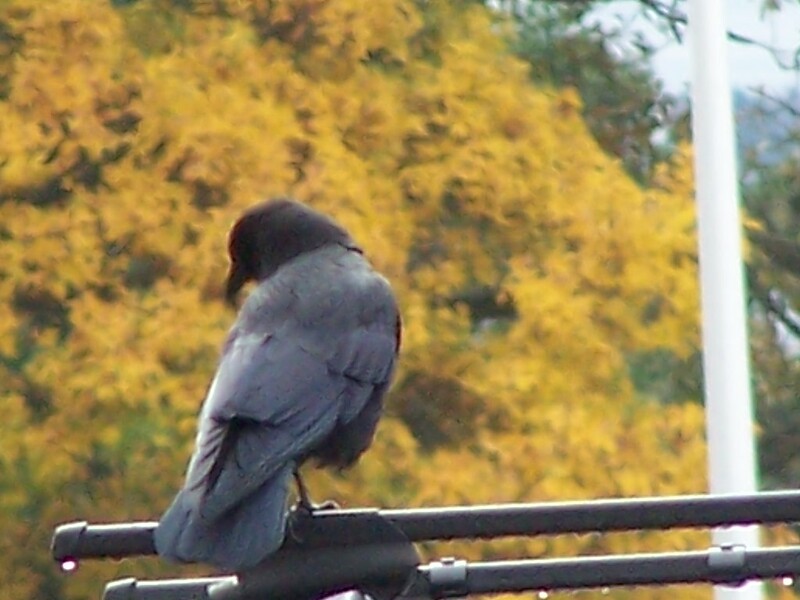 Without those visual clues one cannot be 100% sure of seeing the same crow. 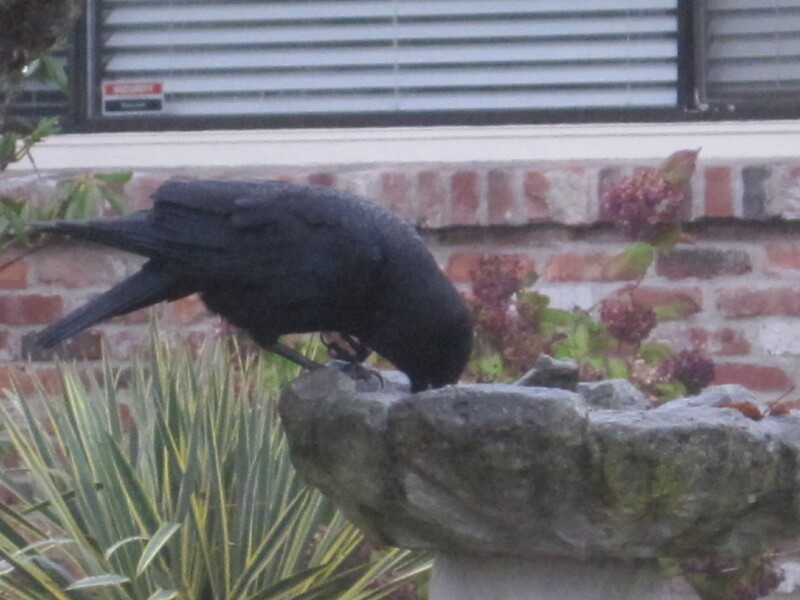 That brings me to what we can learn from this gimpy crow. First of all she is always in the same place on 39th Avenue SW and second I know approximately when she was born or first appeared in the area. I first spotted her in November of 2012. One leg is pretty much useless except as a prop at times. She (I call her a she but she could be a he) usually squats down low when sitting or eating. Of course there is hopping around too. Flying and landing do not seem to be a problem at all for her. Here is a photo from about 6 years ago using a car to stand on her one good leg. 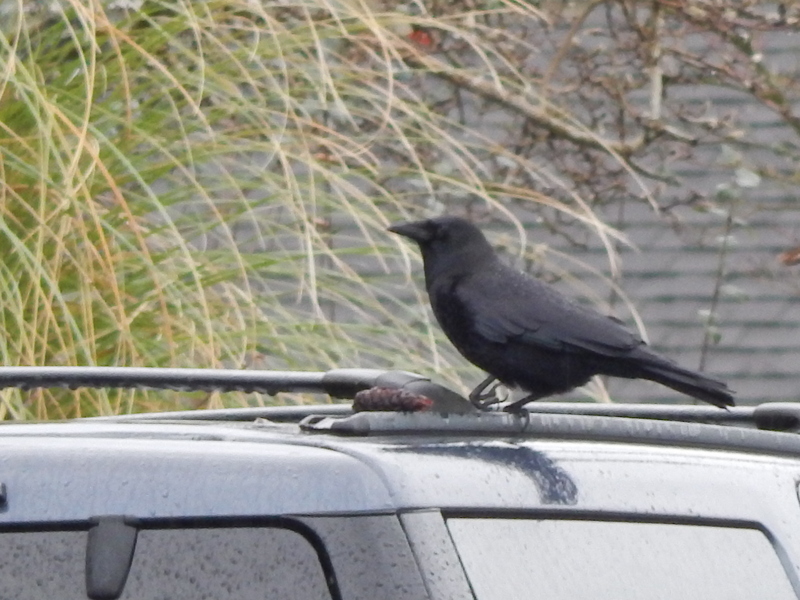 Great Balancing act for this gimpy crow on a car roof rack. 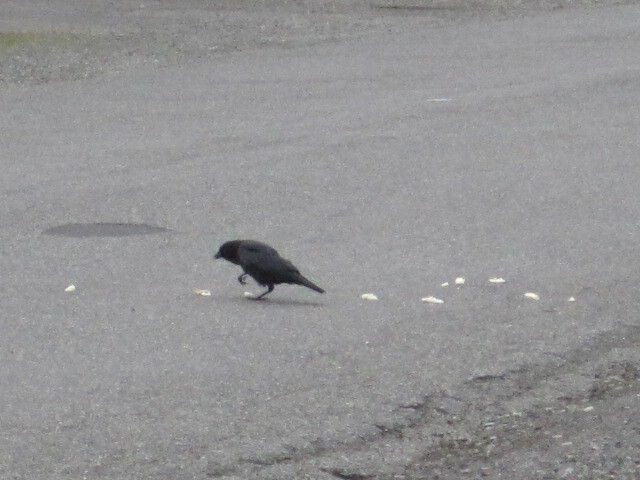 Good shot of Gimpy Crow’s bad foot. A couple of months later feeding the crew bread she came again. This is in March of 2013. These two pictures give a good idea of how she can balance on the one leg and her crouching down in a low stance. Almost a year later here she is again in my photo library. Same block of 39th between 106th and 107th. These photos show close up how her leg is disabled and she overcomes that to survive. Late 2015 there she is again. Now she has to be at least 3 1/2 years old. And guess what? She is in the same block of 39th. 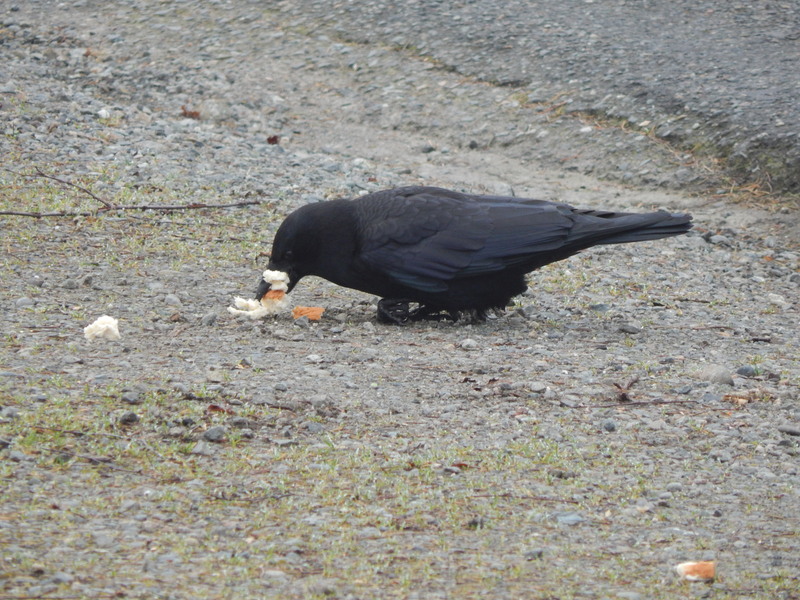 What a testament to this crow’s ability to adapt. 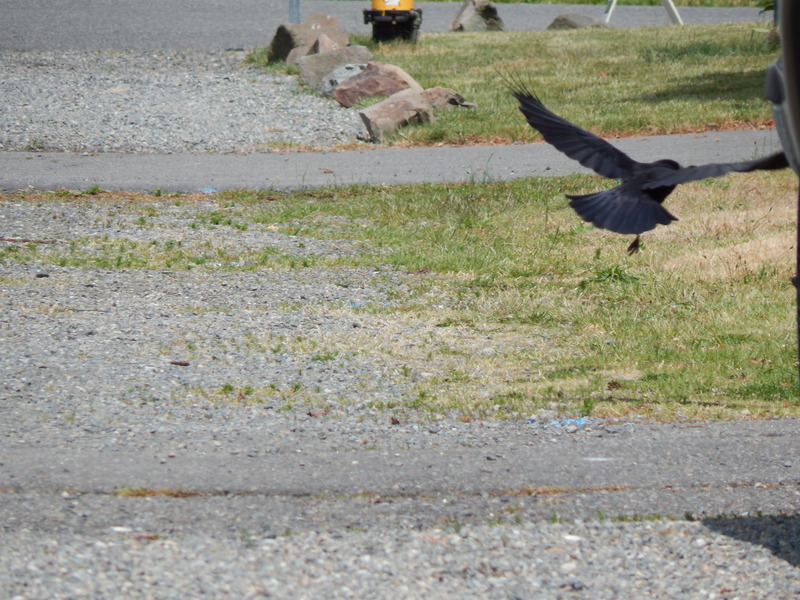 Here we have a one-legged crow who did not perish from her bad leg. Her family still surrounds her and I have to imagine she or he has been involved in raising babies. Time is moving along and January 2016 she was front and center making sure she gets a treat from me. 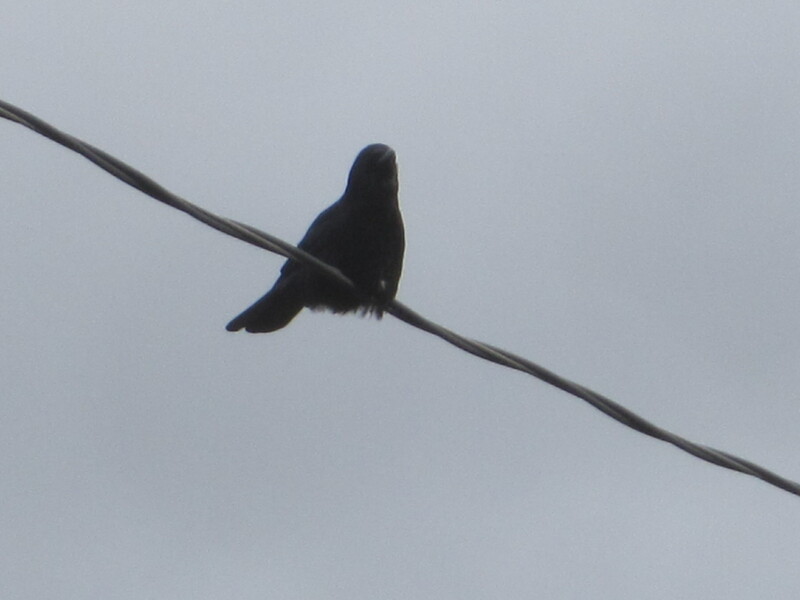 She is showing us that yes crows do remember who you are and now when she sees me she makes sure I see her up on the wire. 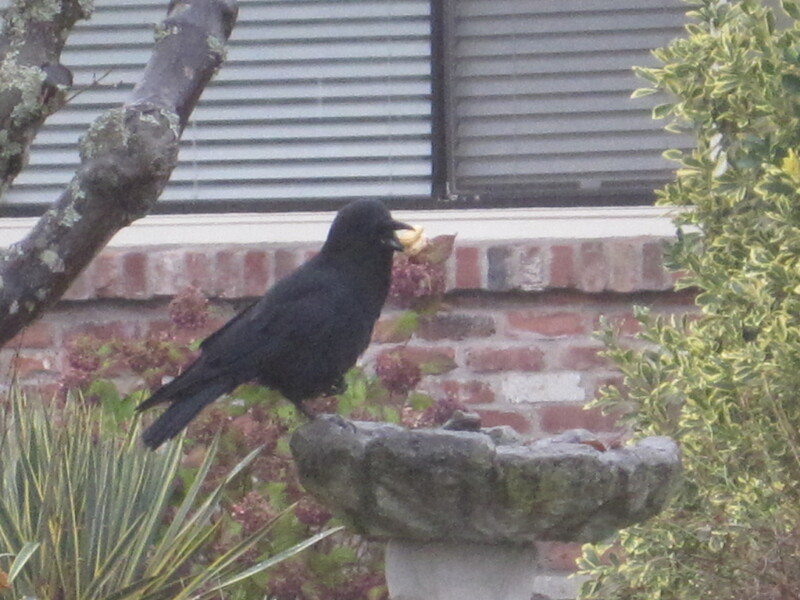 Then when she gets her peanut or bread she eats close enough for me to get better photos & a little video of her. Spring of that same year there she was still in her spot and I got a good shot of her taking off after eating a peanut. Take off shows how she dangles one leg. 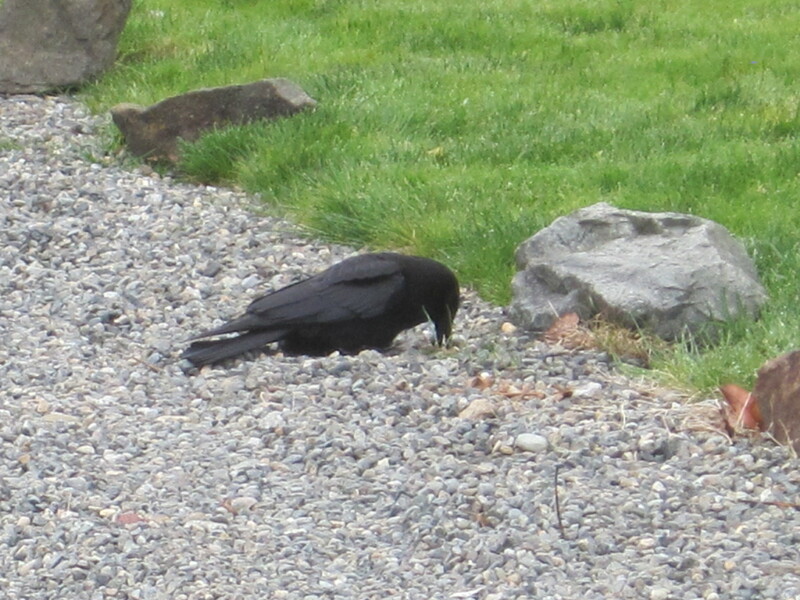 2017 I had several sightings of her and this one shows her crouching in the gravel to eat her treat. Still a survivor and adapter to life with one leg. We made it to today. Here she is on the wire after grabbing a nut. Got that balancing act down. What did she shows us? 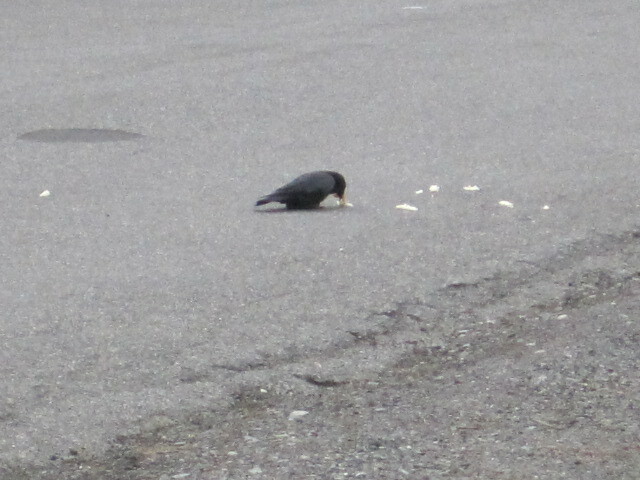 Having a defining attribute to identify her each time I see her has given my crow research and watching a big boost. That her being about 6 1/2 years old with a disability has not stopped her living a full life. 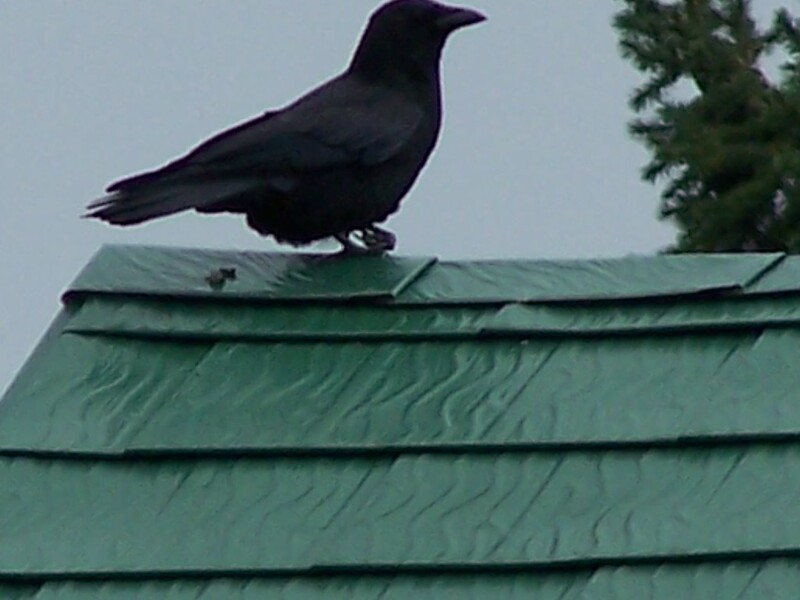 She also confirms that crows own defined territories and that crows do have a home just like us.